Technical Car Experts Answers everything you need: Samsung Side by Side, Model #RS2545SH/XAA freezer inside panel parts? 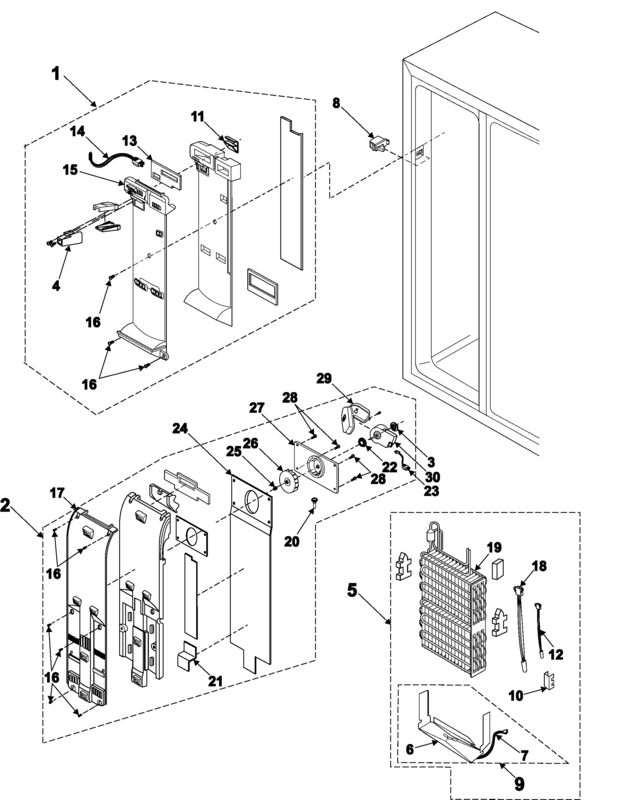 Samsung Side by Side, Model #RS2545SH/XAA freezer inside panel parts? Part number 19 is evaporator coil, in the inside panel of freezer.Then part number .You have to just see the part number 5 box section.All the parts which you have to repair are in box number 5.See part 19 the evap coils, part number 7 is heater line, part number 18 is thermometer.And part number 12 is temperature sensor.